You must remember the interesting iPhone case with a opening mouth of monster. Now, let’s introduce another big mouth iPhone case, but it’s a fierce shark opening a huge mouth with sharp teeth. 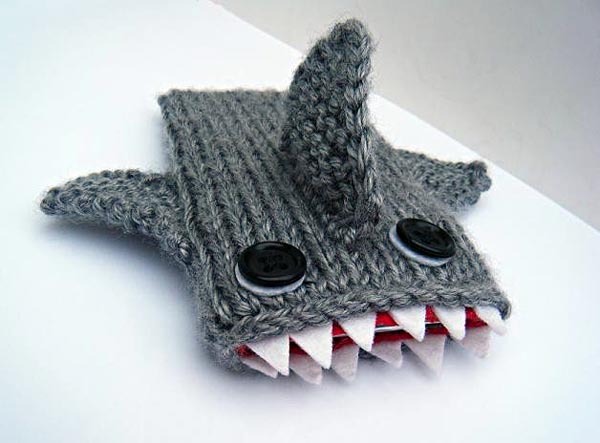 Unlike the normal vinyl iPhone case, the shark case is a hand-knitted iPhone case created by chrisandyaya. It’s made of gray acrylic yarn and red felt as its lining. 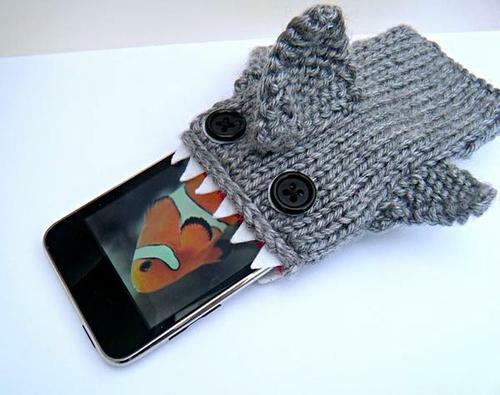 Do you want to put your iPhone or iPod into the shark’s mouth, try out the funny iPhone case. The shark iPhone case is priced at $16 USD. You can get it from Etsy.